This story originally appeared on March 9, 2014. Can dogs survive nuclear fallout? Indeed they can. In 1958, American scientists were stunned to find a canine survivor of the disastrous Castle Bravo test—the largest ever U.S. nuclear detonation. It also took a little politicking with American Airlines to rescue the pooch. To learn more, I spoke with Ernest Williams, a trustee at the National Atomic Testing Museum in Las Vegas. If it weren’t for Williams, the atomic dog would have been left stranded on a contaminated Pacific atoll. A Nebraska farm boy, Williams served in the Air Force during the Korean War and later received a top-secret Q clearance to assemble nuclear weapon cores. In 1954, he landed a job with the Atomic Energy Commission. In 1956, his good sense and aptitude for math earned him a position administrating the enormous complexities of Operation Redwing at Enewetak Atoll. In 1958, Williams returned to the Marshall Islands for Operation Hardtack, a follow-up set of Pacific nuclear tests. His boss, Jim Reeves, gave him a task well-suited for a former farm boy. 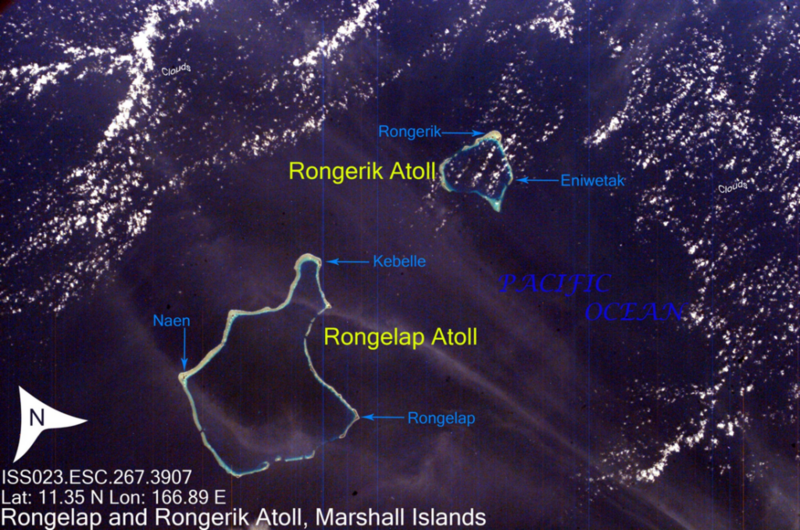 Four years earlier, the gargantuan Castle Bravo explosion heavily contaminated the atolls of Bikini, Rongelap and Rongerik. The 15-megaton monster exploded with twice the yield the scientists had predicted. It was the worst radiological disaster in U.S. history. Bikini’s natives population, their homeland lost to the bomb, had already relocated to Rongerik and had to move again to the even smaller, less-fertile island of Kili, where many of their descendants languish today. A few men attempted a brief reconnaissance of the evacuated atolls, but far too much radioactivity remained for more than a cursory survey. Military personnel took extensive precautions. After a rough seaplane ride to the lagoon, a farcical rubber-boat landing and a labored tour by armored vehicle, the crews had to strip off their clothes and bathe in seawater before re-boarding the aircraft. In 1958, the Atomic Energy Commission considered returning the displaced islanders to their atolls. Was it now safe? The AEC needed more information, so as part of the preparations for Operation Hardtack, another crew arrived for a second reconnaissance. Given Williams’ rural upbringing, he seemed a natural choice to evaluate the islands’ potential for rehabilitation. To the visitors’ astonishment, they encountered three domestic animals still living on the abandoned islands—a pig, a rooster and a dog. The ancient colonists of the Marshall Islands brought such animals to the atolls centuries ago. The animals’ descendants still flourish on other islands, but the Americans were astounded to find them alive years after a hydrogen bomb test. All the animals seemed to be in the best of health. They were also scientifically priceless. Having survived Castle Bravo and four years of abandonment, the pig, rooster and dog could give scientists invaluable insight into the effects and conditions of post-fallout life. Williams and his team collected the dog and pig, but the rooster evaded their efforts. Williams didn’t recall the pig’s fate, but he remembered the dog. He’d worked at the Walter Reed Army Institute of Research during Operation Plumbbob, where over 700 pigs were deliberately exposed to nuclear blasts. Now Walter Reed wanted the atomic dog as soon as possible. The dog proved to be friendly and agreeable. After a long flight from the Marshall Islands, Williams managed to get past Hawaii’s stringent quarantine rules with the help of fellow AEC employee Ernest Wynkoop. But Williams’ troubles weren’t over. 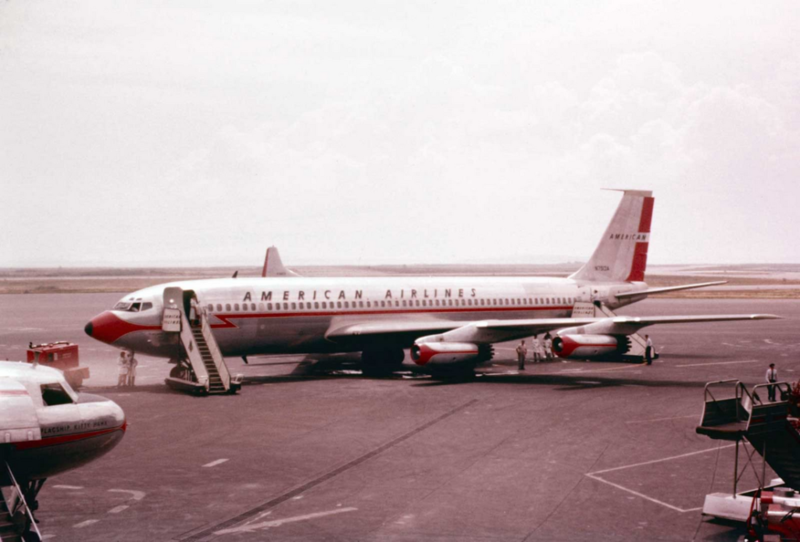 In 1958, most airline employees stationed in Hawaii still flew back to the mainland United States for Christmas. Williams managed to get himself and the dog aboard one of the last flights to Los Angeles, only to run into an implacable airline official at LAX. American Airlines planes were full of passengers and their Christmas gifts, the official told Williams, and the dog wasn’t going. Nope, the airline man said, no pets during the holidays. The president of American Airlines said so. The airline man stood firm, so Williams made the call, then took the dog out to a lawn so it could relieve itself. Williams just finished collecting several of the dog’s “specimens” when the airline man came running over to them in high dudgeon. “Who the hell are you and who do you know?” he roared. “The right people, sir,” Williams said. “Get lost!” the man shot back. With that, the dog got its flight to Washington. We don’t know the dog’s fate, but for the Marshall Islanders, the story hasn’t ended. The coral rock of Bikini, Rongerik and Rongelap remains too radioactive for long-term resettlement, and the islanders still can’t go home. For one, humans live much longer than dogs or pigs and accumulate much more radioactivity from foods and soil. Ernest Williams continued his career in the nuclear field for another 50 years. Before his recent retirement, he advised nuclear anti-terror training at the Nevada Test Site, and remains eager to share his tales. Including walking the atomic dog.